I was really excited when I found out that I would be able to do work experience at Air Social this summer, particularly as I knew that I was interested in digital marketing and thought that it would be very helpful to learn more about this line of work. It was great to be in a positive working environment where I could develop my understanding of how a successful business works and operates. The office has a fantastic atmosphere and enabled me to learn about the different work carried out by each employee, as well as being able to pick up tips from them. It has also helped me to identify my strengths and weaknesses and gain an idea of the skills that I would need in the future in order to work in marketing. This is especially beneficial for me as it I am going to university next year, so I need to know which skills I should develop through extra-curricular activities. I really enjoyed being able to help out with the Seymour’s ‘Thank You Surrey’ campaign which deepened my understanding of marketing further and provided me with an insight into what it’s like to work for a client. 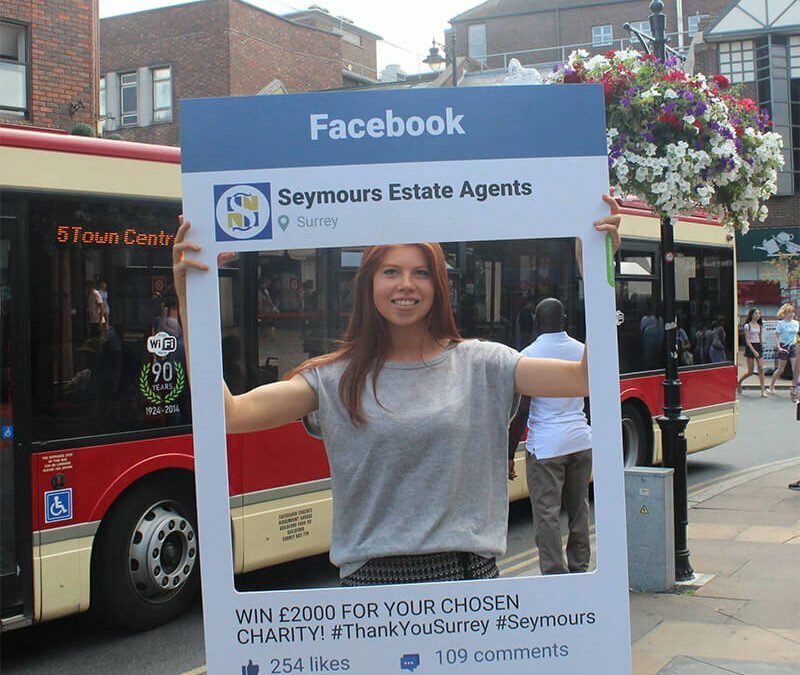 We went into Guildford and Woking and advertised the opportunity to raise money for a given charity through the quirky use of a selfie board. I was then able to see how the campaign is marketed on Facebook and how the back-end of the site works. Work experience is a great way to demonstrate to potential employers that I understand how businesses work and I hope that my time at Air Social will provide some evidence of my motivation for marketing. « Why is blogging so important?